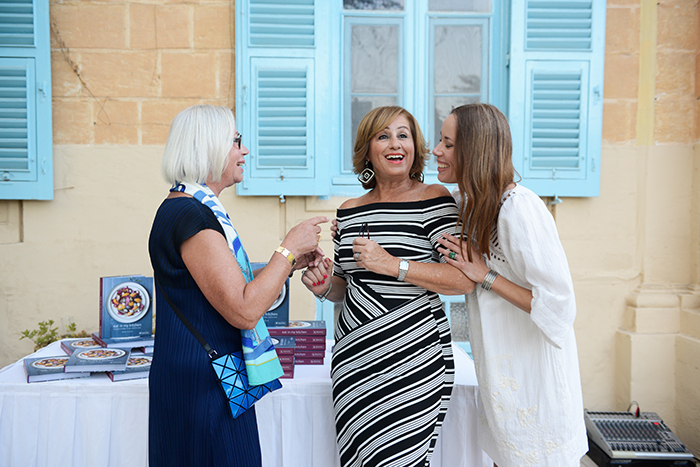 So many emotions, tears and laughter, lots of food and wine, family and friends – I had the best time in Malta and enjoyed every moment of my second book launch event. Our plane landed late on our little island the Mediterranean, it was past midnight when I stepped out into Malta’s humid air. However, it wasn’t too late for a chat in the kitchen and a large piece of the island’s famous lampuki pie (only in season during September and October). I slept like a stone that night which was good, as the next days were packed with excitement. My mother arrived a day before us, so we had a date, early in the morning. 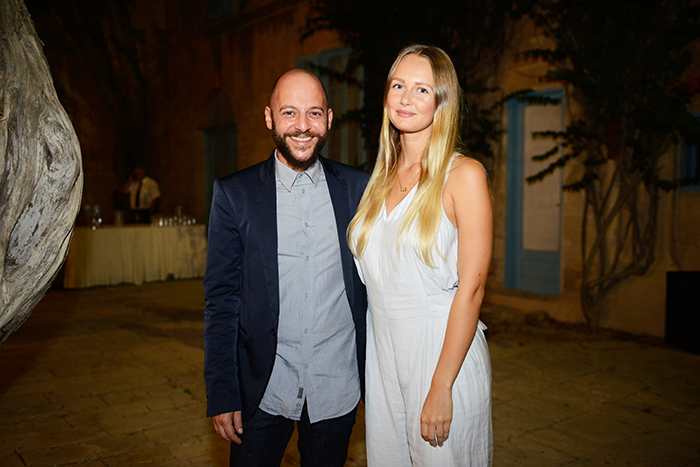 My man and I went up to Valletta to meet her for breakfast and then we went on a mission. The three of us drove to Sliema, to Daniela Bonello’s gorgeous shop Liu Jo, to find a dress for my first TV interview. I had no idea how this premiere would turn out, so I wanted to look pretty at least, in case I made a fool of myself. 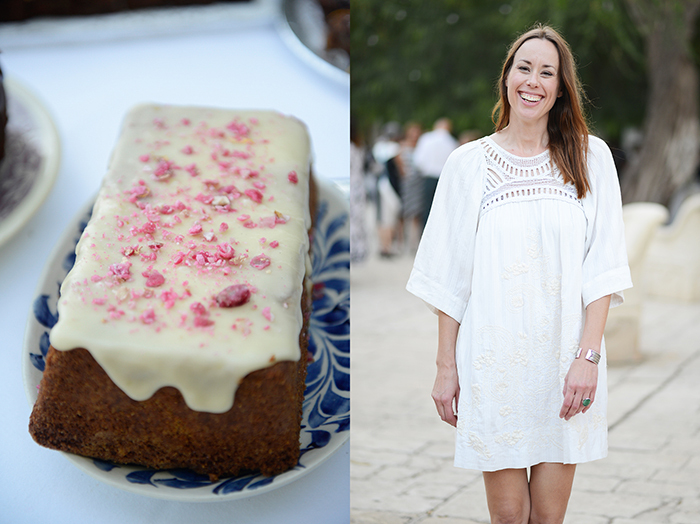 We had fun and found my new favourite dress, it’s cut perfectly and still allows me to eat as much as I want – an ideal dress in my eyes. Afterwards, we had enough time for a short dip in the clear blue sea and a drink to celebrate our reunion at our beloved beach bar, at Exiles. 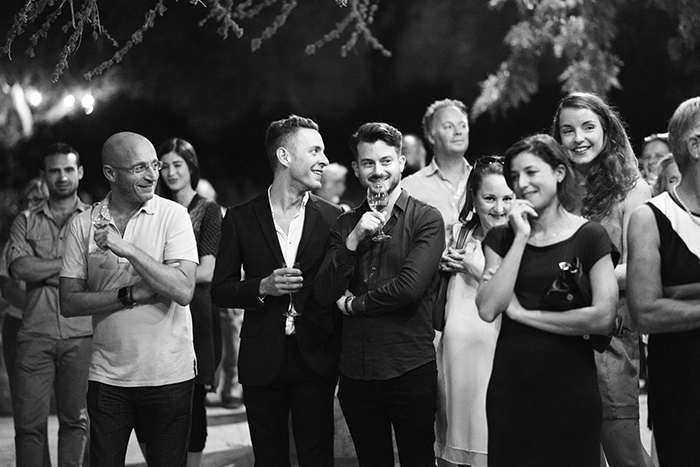 Knowing what was soon to come, we enjoyed the calm before the storm, before books and drinks had to be picked up for the big event on the following day, before phone calls and last minute decisions had to be made; and so the afternoon flew by. 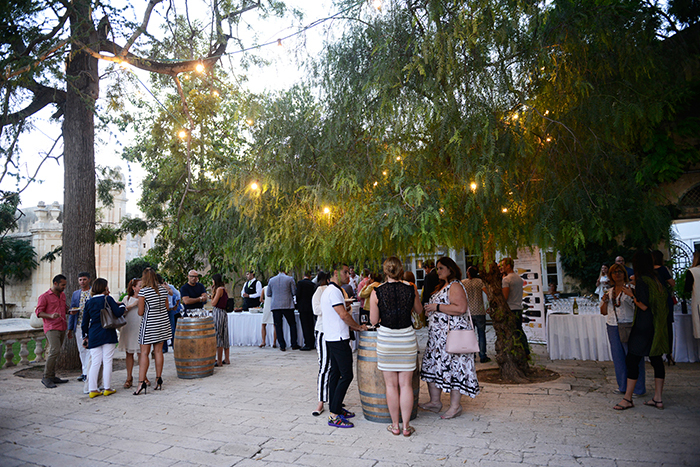 The evening turned into a far bigger (and more excessive) feast than expected, we met family and friends at Chris’ Legligin Wine Bar. 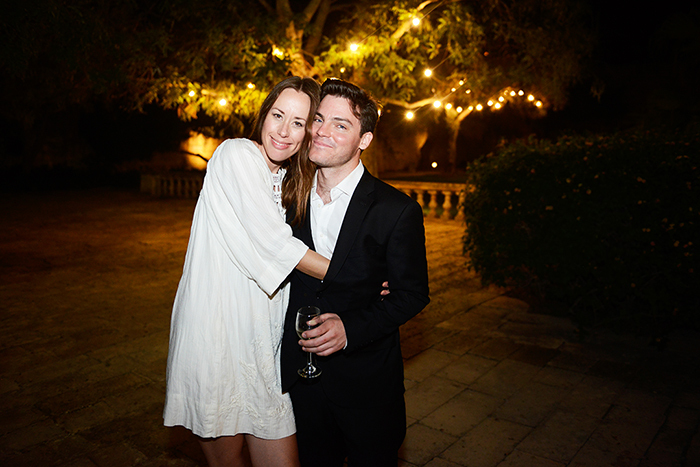 We ate Maltese tapas, drank local wine, and then at the end, late at night, Chris sang a song for us to celebrate the Eat In My Kitchen book. There was a moment that I’ll never forget, I looked into my mama’s eyes and both of us couldn’t stop smiling. It might not have been responsible to indulge in the pleasures of this long night a day before a book launch, but it would have been a sin to miss it. Although we all felt a bit rough the next morning, no one had any regrets. The good thing about a busy event day is that there isn’t really enough time to be nervous and think about what’s going on. I got up, dressed up, drove to the TVM station, and started the interview before I even noticed that we were live on air. It was all over after just a few minutes and I found myself surprised, happy, and relieved in front of the TVM building. Thank you Ben Camilleri for inviting me to Twelve to 3! You can watch my interview here. When we packed the car with all the things you need at a book launch (a lot! ), we noticed that we didn’t really think about where my mama would sit. Both of us dressed up in pretty dresses, we squeezed ourselves onto the front seat of our wobbly jeep (my mother says this car feels like a boat) and arrived safely in front of the impressive gates of the stunning Villa Bologna. 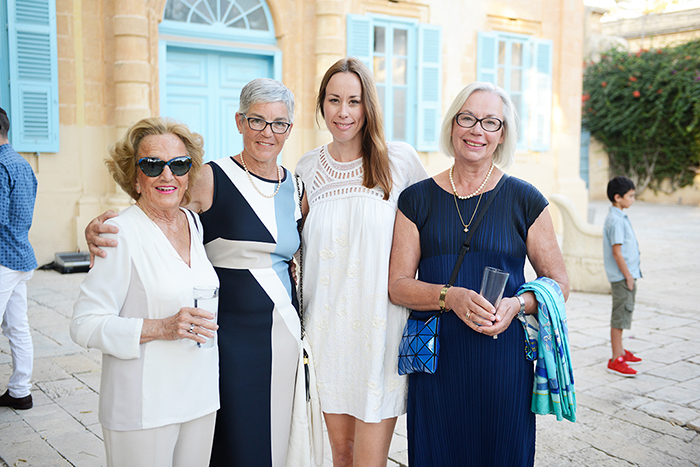 Jasper de Trafford and his lovely mother Charlotte were so kind to share the baroque gardens of their beautiful villa with us for our special night. Villa Bologna is one of these places that feels unreal when you see it for the first time. It’s too beautiful, too special, too out of this world, it’s simply too perfect to be true. I fell in love with the building, but even more so with its gardens. 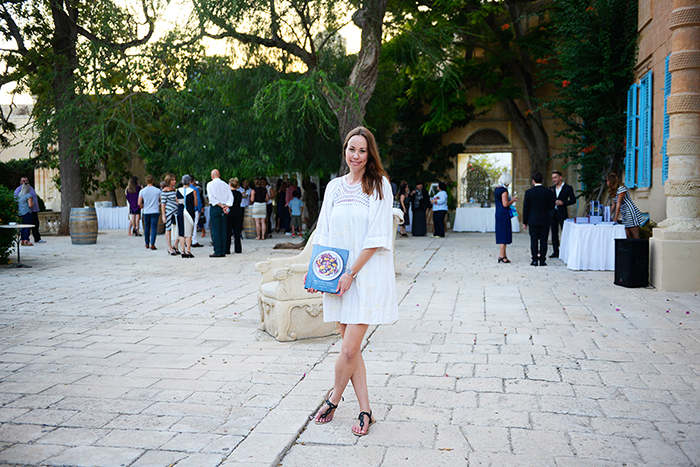 To have been able to celebrate my Malta book launch right there, is a great gift, it’s a precious memory that I’ll never forget in my whole life. Thank you Jasper and Charlotte! The night flew by far too quickly, as always when life feels so good that you could hug the whole world. 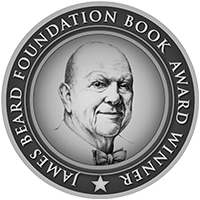 There were only smiling faces around me, friends and family who are close to me, but also people who I’ve never met before who just seemed so happy to see their local culinary treasures in a book. I don’t know of another country where people support each other so genuinely. I felt so much love that night, so much excitement. When I held my speech – the most emotional of all my speeches so far – I felt my heart pumping like a race car, but at the same time it felt so good to be surrounded by all my loved ones. 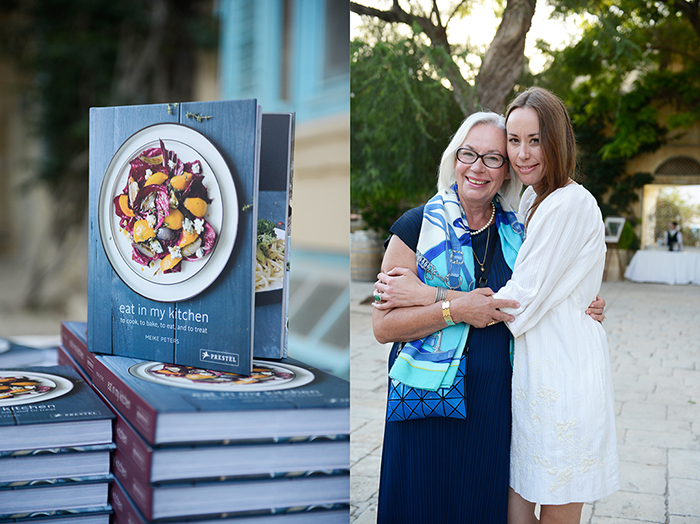 By my mama, who inspired me to write this book, by my man who goes through the roughest times with me no matter what obstacles we find in front of us, my Maltese mama Jenny who brought so much joy – and her son – into my life. 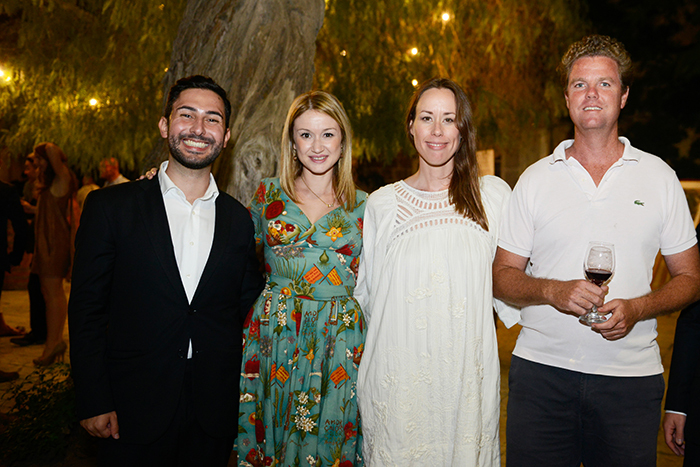 Prestel UK’s PR executive, Emma Cook, who flew down from London to welcome our guests together with Peter Carbonaro, our dear friend who came straight from Ibiza to join our celebrations. Mr Cini, my salt man from Gozo and his wife Rose, their daughter Josephine and her family, they all came from Gozo just for this night. 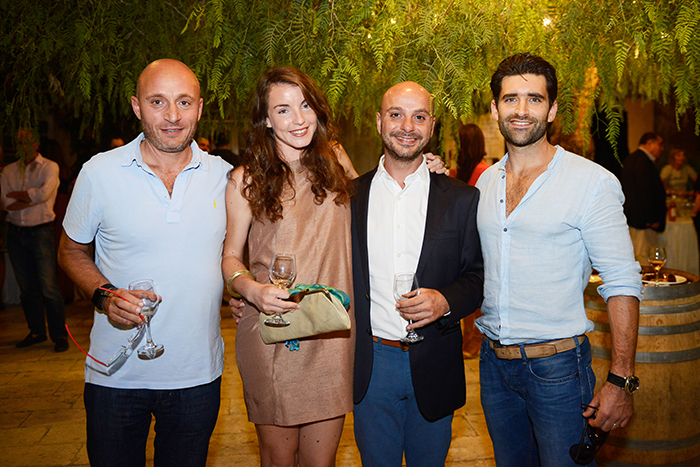 And then, when my salt family met my honey man, Arnold Grech, we witnessed one of the many highlights of this night. 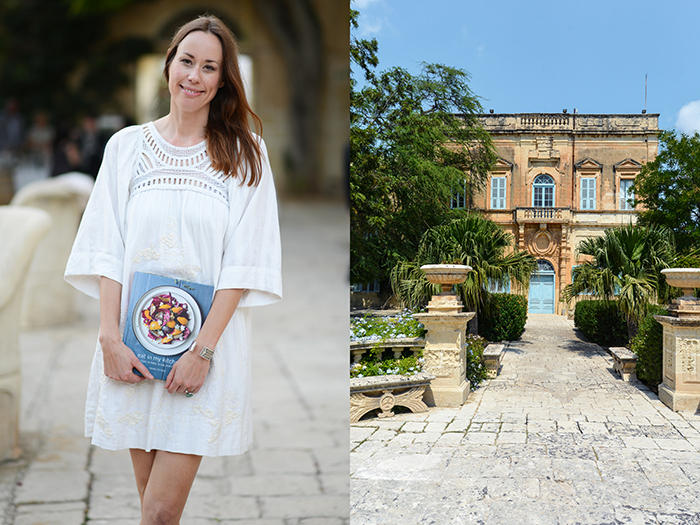 It was a moment that we’ll all never forget, two of Malta’s food ambassadors met in front of the historic setting of Villa Bologna. Mama, stuttering and in awe, said ‘this is like a Fellini movie’. I usually wouldn’t choose this word, but here it fits perfectly, this moment was epic. 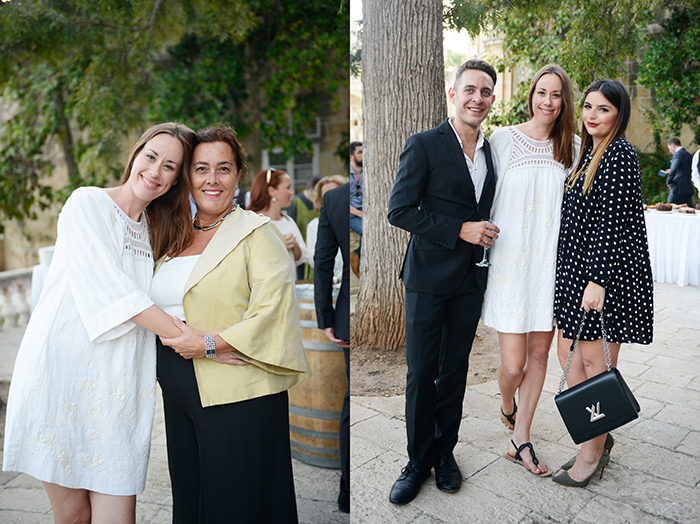 Luckily, lots of pictures were taken by the great photographer Kris Micallef, thank you for catching all these unforgettable memories. 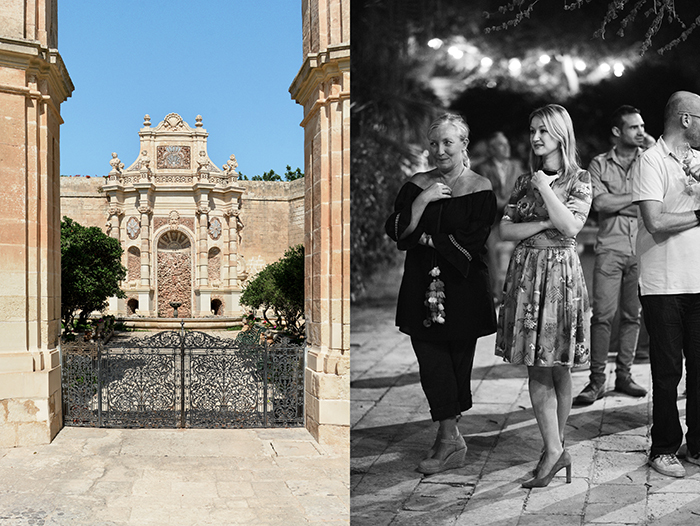 The lights went off in the magical gardens of Villa Bologna, and then, just happiness, and a last glass of wine in Valletta at The Harbour Club before I said goodnight to my Malta, and went to bed. When I decided to jump into my extensive book tour in Europe and in the US, I made a wise choice. I knew that I wouldn’t have enough time to cook the recipes from my book myself. 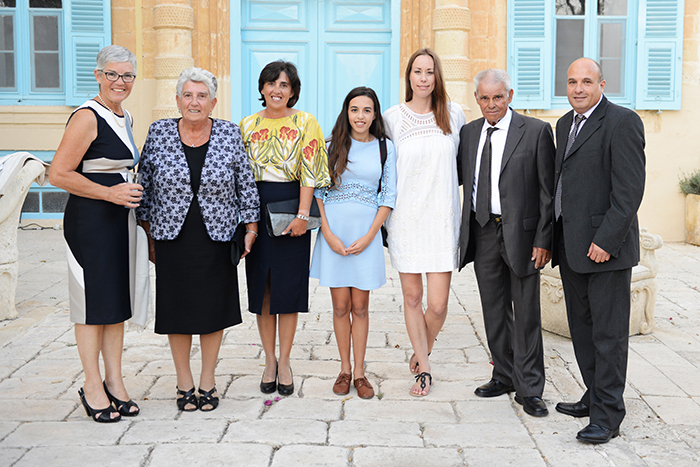 In Malta, I had the helping hands from my dear friend Marina Fabic, I wouldn’t have managed this without her. She’s an angel and a fantastic chef, thank you for your belief, support, and help, my friend! 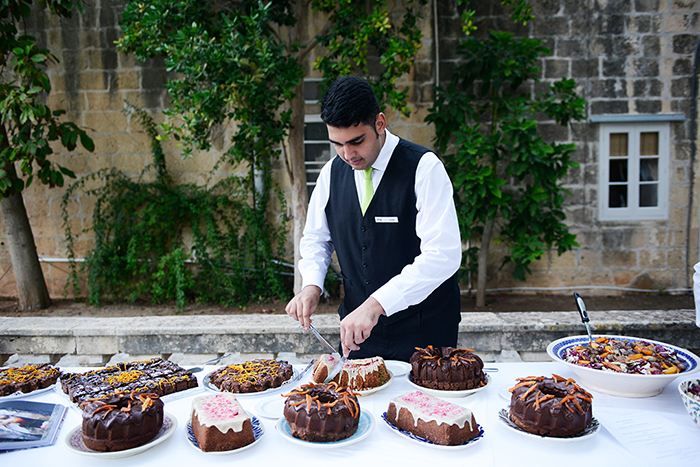 Dani Vella, the young founder of Flora’s in Naxxar, baked the cakes for our event and she and her team made my creations look even prettier than in my book. You guys are amazing, thank you! 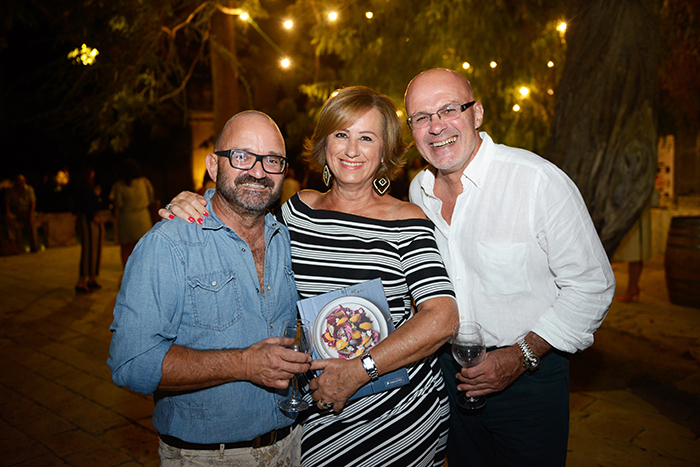 There’s one recipe in the sweet chapter of my book, which isn’t my own, it’s Joanna Bonnici’s delicious Pudina. When I tried this local speciality at her house for the first time, I knew I’d need her Maltese bread pudding recipe if there was ever an Eat In My Kitchen book. I wrote a book, Joanna gave me her family recipe, and now we’re both in a book. 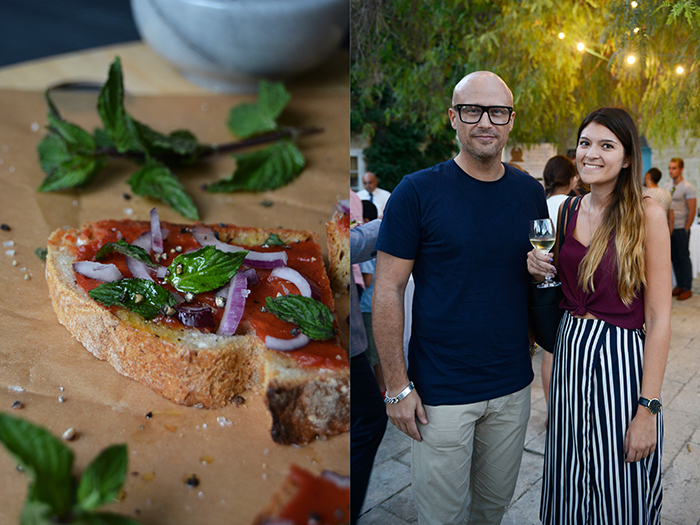 Joanna is the sweetest mama, she’s a true inspiration in the kitchen, and the right person to talk to if you want to learn about Maltese cuisine. I wanted my book launch events to be like a family feast, or like a relaxed dinner party with friends, with good food and lots of wine. And we managed so far. 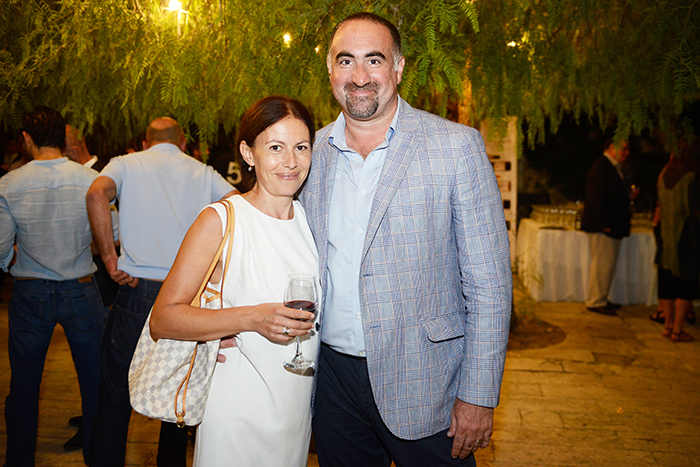 A great man and connoisseur, Karl Chetcuti from the Meridiana Wine Estate Malta, is the reason why we have exceptional wine at all of my book launch events. Karl, without you and your wine, my book tour wouldn’t taste as good and it wouldn’t be as much fun either. Thank you for supporting me and even traveling through Europe with us. 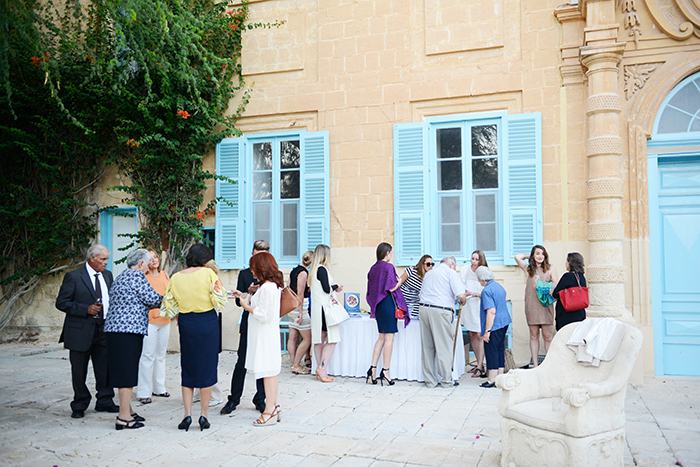 The event in Malta was the biggest of all of them, there were more than 120 people. As I saw our guestlist becoming longer and longer, I called for help. Brian Calleja from Island Caterers answered immediately and sent me Jesmond and his colleagues. From that moment, I didn’t have to worry about anything. 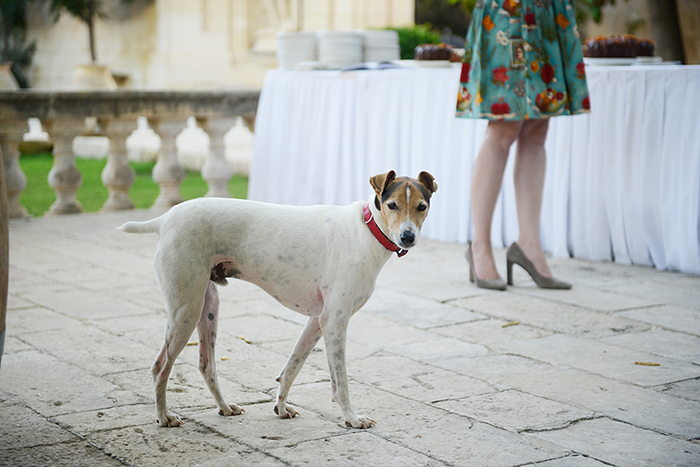 They set up all we needed, served our dishes, and had the whole event under control until the last guests disappeared and silence returned to the gardens of Villa Bologna. Thank you! 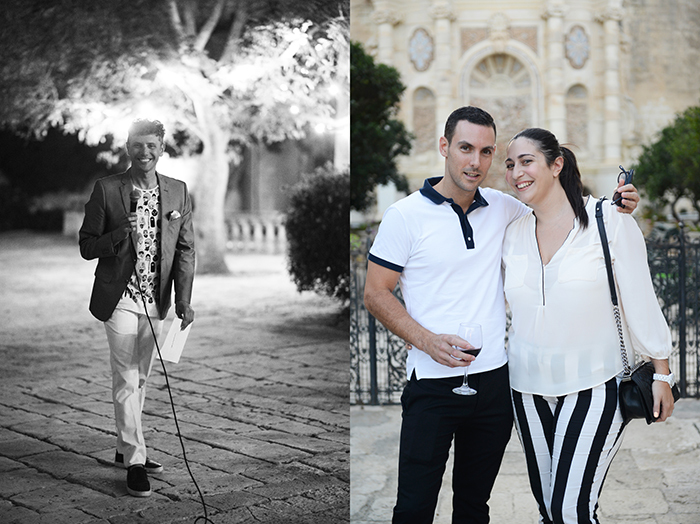 And last but not least, a shout-out to Jo Caruana and Iggy Fenech, my fabulous PR team in Malta. 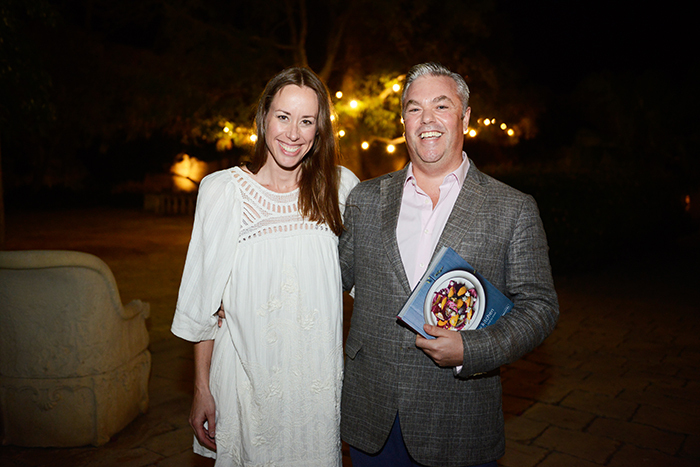 You took care of this event, you spread the word about the Eat In My Kitchen book, and you’ve both done an amazing job. You can see, read, and watch many of the articles and interviews initiated by this power duo under Press. And then the calm came back. On the last night before my mother left the island, we enjoyed an unforgettable dinner at Rita’s Lapsi View. We were the only guests sitting outside, as a chilled breeze blew over the cliffs. The view was too good and the silence out there too tempting to leave our table and go inside (which is also quite an experience, thanks to the restaurant’s original 60s interior, and hopefully it’ll never change!). The owner had to be waiter and chef that night, usually he’s neither, but he didn’t mind. He only asked my mother for help, to mix our Aperol Spritz, an offer that she gladly excepted. She went straight behind the bar and our chef started cooking. I’ve eaten at Rita’s very often, and it’s always good, but this night’s dinner was outstanding: raw and grilled Maltese prawns, calamari and caponata, pasta rizzi (sea urchin), a whole St. Peters fish cooked to perfection, and freshly baked mqaret. It was a feast – another one. 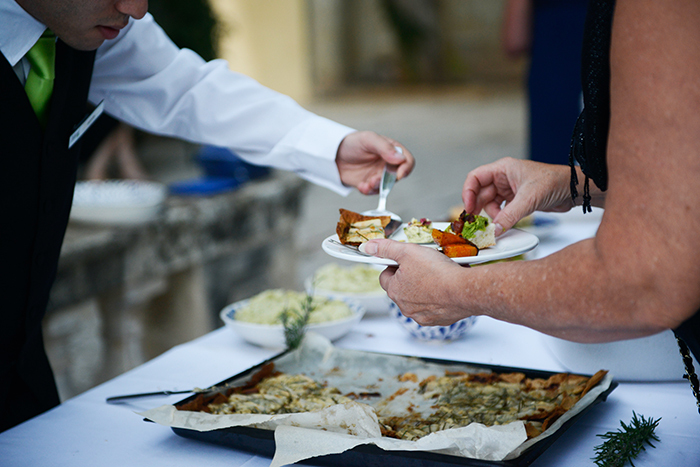 At the beginning of our extensive dinner, as we enjoyed the last sips of our drinks mixed by mama, looking into the golden sunset, our chef teased our appetite with a Maltese classic: the popular Ħobż biż-Żejt. 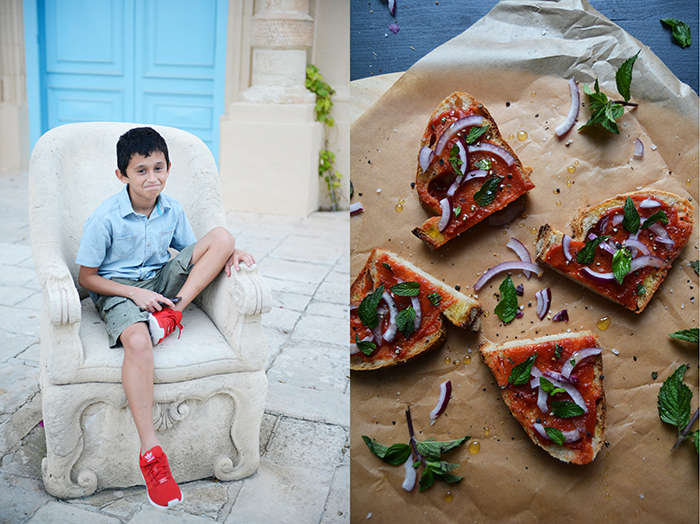 Thick slices of Maltese sourdough bread spread with olive oil and kunserva, a concentrated, sweet tomato paste. 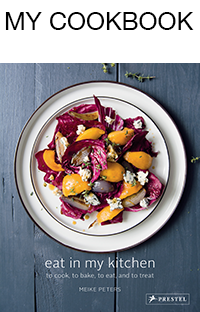 The most basic version would be to season it with salt and pepper, at Rita‘s they add thin slices of raw red onion and fresh mint leaves. My mama almost went ecstatic, she was so impressed by the flavours and the simplicity of this local pleasure. And this is the recipe I’ll share with you today. I mentioned last week that I’ll only be able to write about quick and easy creations while I’m on my book tour. I love to be on the road, I enjoy this adventure to the fullest, but when I have a few days at home, I can’t tell you how much I treasure some bread, cheese, and nibbles in my own kitchen. I just have to make my Maltese sandwich and all the beautiful memories of the craziest week in Malta come back. Ħobż biż-Żejt is great for breakfast, a delicious lunch snack, and a fantastic (and very easy) appetizer for your next dinner party. 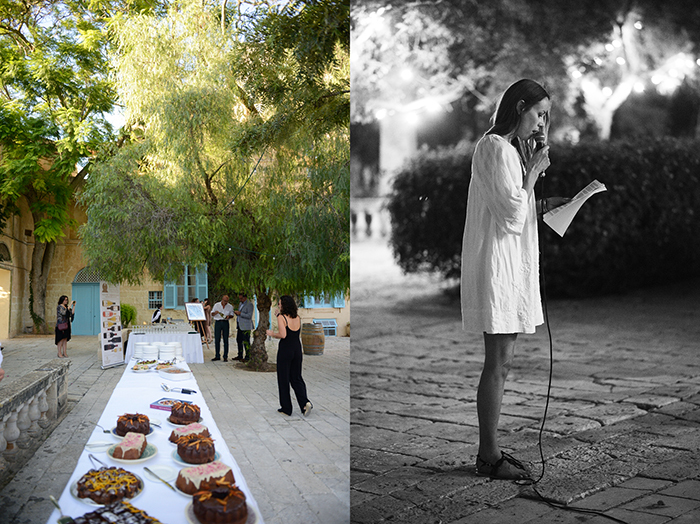 You can see all the pictures of the book launch in Malta taken by Kris Micallef here. Drizzle the bread generously with olive oil, then spread with kunserva and season with salt and pepper to taste. Cut the bread in half and sprinkle with onion and mint. Serve and enjoy!